The adage ‘no news is good news’ is not always true for Muslims in southern Thailand. Reports from the south seldom make it to the mainstream news agenda, conveying the impression that the conflict is dying down. Yet in less than four years about 3,000 people, mostly civilians, have been killed, and tens of thousands wounded. 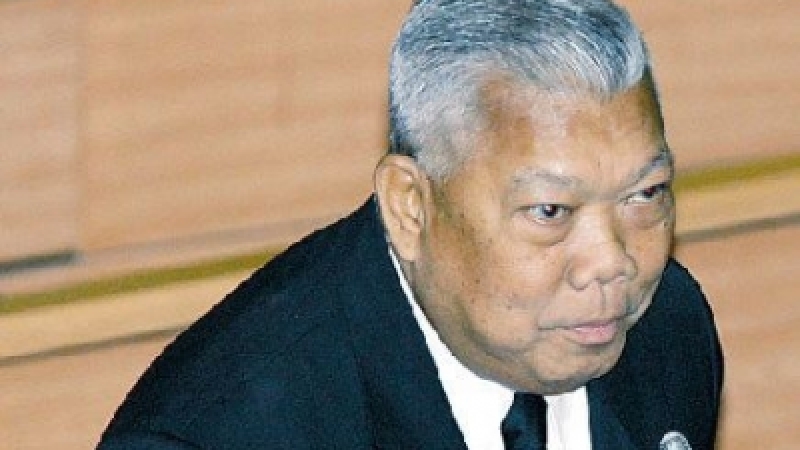 Months after General Sonthi Boonyaratglin, the former coup leader of Thailand’s military government, offered to negotiate with the ‘insurgents’ (by which the media mean people engaged in violence, whose suspected identity can be varied to suit the media’s current agenda), the bombings in the south began again. 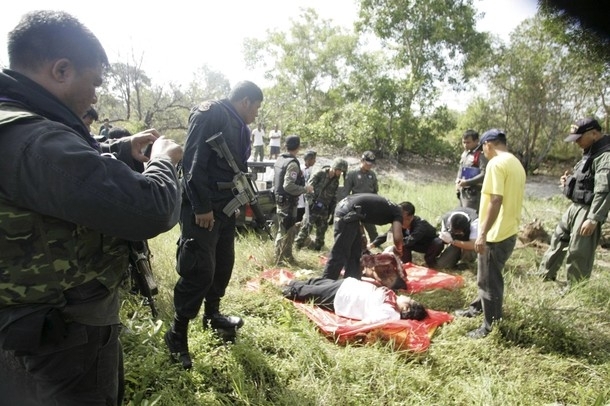 On January 13 eight soldiers were killed after being ambushed by ‘suspected militants’ in Narathiwat province; the next day, dozens of people were injured when a bomb went off in Yala. Both provinces comprise what is generally referred to as “the Pattani region”, bordering Malaysia in the south. Frequent bombings and killings, blamed on ‘insurgents’, have transformed the region into a little Ghazzah. Unlike the situation in Ghazzah, however, relatively little is known about the crisis in southern Thailand or about its causes. The only ‘analyses’ coming from self-proclaimed experts of political conflicts seem to be the same myth: that Muslims, disenchanted with corrupt officials, and exploited and financed by al-Qa’ida, are “beheading, mutilating and crucifying victims”. “They kill in such brutal ways: beheaded, hacked to death, set on fire … the idea is to provoke a strong reaction of the Buddhist Thais against Muslims,” was one familiar comment by a Bangkok-based ‘human rights consultant’. A government spokesman charged on January 18 that “southern gangs” were “receiving military help and money from al-Qa’ida, as well as drug barons,” but provided no evidence to support his claim. Interim prime minister Surayud Chulanont immediately denied this, saying that there is no evidence of such aid. “Al-Qa’ida isn’t an organisation which can offer a lot of assistance,” he said. The allegation against al-Qa’ida came in the wake of satellite-television provider Thaicom’s announcement that it had stopped Hizbullah’s television channel al-Manar from broadcasting, after a few days’ test-broadcasts by the company. 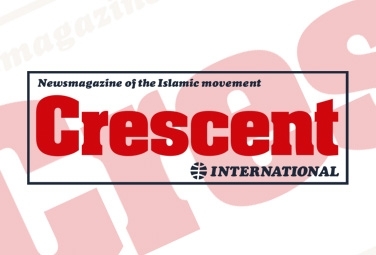 The decision to ban al-Manar followed pressures from American and pro-Israel activists. More importantly, it also comes at a time when new revelations have surfaced about CIA-run secret torture camps in Thailand to interrogate “al-Qa’ida” detainees. With all this going on, comments painting conflict in the southern Thailand as “al-Qa’ida” are no surprise. Such comments are usually accompanied by accusations against the highest officers of the Thai military for “not doing enough” to subdue the ‘insurgents’. Many human-rights groups have also tried hard to push the theory of al-Qa’ida being behind the bombings, a theory that not even Bangkok under deposed prime minister Thaksin Shinawatra was prepared to lend support to. This is surprising because it would have worked to the advantage of Thaksin’s government by propping up support among the Buddhist majority against Muslims. Naturally this angered many pro-Washington ‘experts’ in terrorism. 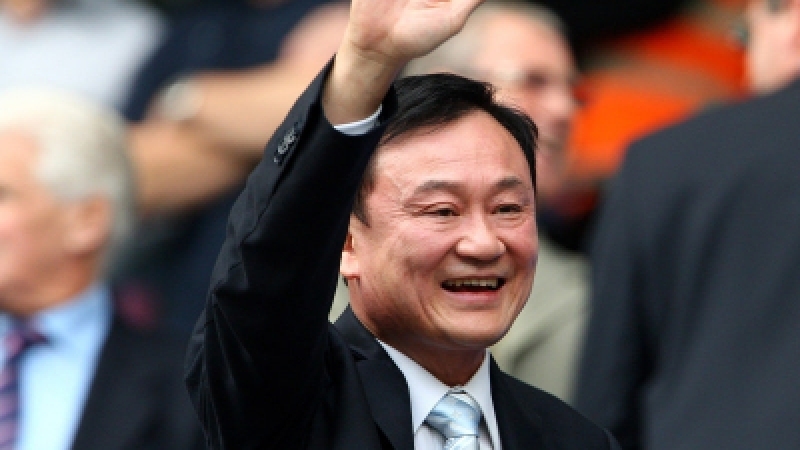 When the army drove Thaksin out in September 2006, there was hope that the situation might improve, because officials appeared to realise that their brutal tactics were getting nowhere. Such hopes were buoyed by positive developments in Aceh. 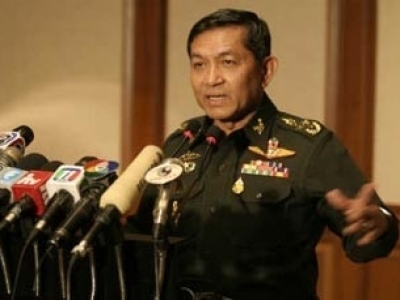 One Thai group, the Pattani United Liberation Organisation (PULO), which is often accused of perpetrating attacks in the south, had welcomed the suggestion of dialogue by General Sonthi, amid accusations by pro-Thaksin and anti-Muslim voices in Bangkok that Sonthi was being pro-Muslim. Kasturi Mahkota, PULO’s exiled foreign affairs spokesman in Sweden, even said that PULO were prepared to talk about autonomy: something that had previously been non-negotiable in the Muslims’ quest for complete independence. The southern region has a heavily Malay-speaking Muslim population in the provinces of Pattani, Yala and Narathiwat, which historically formed the Muslim kingdom of Pattani until it succumbed to Siamese control in the 1700s. People here share similar cultures and habits with the Malay Muslims in Malaysia, but Bangkok has traditionally suppressed their identity, for example by discouraging the use of the Malay language. This cultural imperialism has been opposed by the Malays, culminating in an armed struggle in 1948 by Pattani Muslims to break away from the kingdom, and again in the 1960s by the Pattani United Liberation Army, the armed wing of PULO, whose members laid down arms in response to Bangkok’s blanket amnesty in the 1990s. It is no surprise that during the period of conflict in Aceh, a land rich in oil, in which any long-term instability would not augur well for foreign investors, there was support for a settlement of the conflict through efforts by rich ‘donor nations’ to find a solution. In southern Thailand, which does not have economic resources like Aceh’s, human-rights groups have confined their ‘research’ work to condemning the violence by ‘Islamic insurgents’, accusing them of wanton killings and linking them to al-Qa’ida, even when abuses and injustices inflicted by Bangkok are well documented. Some of these human-rights groups, such as the International Crisis Group, have acted as Bangkok’s whipping boys, justifying their anti-Muslim conclusions in ‘research’ done by ‘research fellows’ whose analyses have been, at best, questionable because they are too speculative and theoretical. Yet engaging in dialogue for a peaceful settlement of this conflict is not as easy as, for example, the round-table talks held in Aceh. In Aceh some form of leadership was present, although towards the end of the conflict many of Aceh’s leaders had spent too long away from Aceh, rendering them less relevant. In southern Thailand, PULO, BRN (National Revolutionary Front) and GMIP (Pattani Islamic Mujahidin Movement) are some of the many groups working for independence from different perspectives and using different methods. Some of their leaders are in European capitals and neighbouring countries, and making contact with them or identifying them with the struggle for independence is not easy. That having been said, the case for independence for southern Thailand is at least as solid as for the Acehnese struggle for independence from Indonesia. The Acehnese struggle, which went on for decades, finally settled for autonomy within the Indonesian nation-state. This is a logical compromise in view of the political and military changes that have swept through Jakartaas well as the similarity of their people in religion and, to a certain extent, in language and culture. In southern Thailand, there are no such common factors, whether in religion, culture, language or history, with Bangkok. This naturally lends support to the Malay Muslims’ struggle for independence from Bangkok, especially from the point of view of international groups and European governments. This is something that leaders who argue for independence from Thailand cannot really hope for. This is perhaps also why an Aceh-type solution (i.e. autonomy) may be best for the region. More than anything else, achieving this will depend on a reasonable attitude in Bangkok. For now, the return of pro-Thaksin politicians under the People’s Power Party, which is expected to form a new government under the leadership of Samak Sundaravej (a staunch ally of Thaksin’s whose personal history of suppressing dissent during his military life is well-documented), means peace in southern Thailand will be much costlier than originally expected. After all, no news has often not been good news in southern Thailand.